On October 28, 2009, Kona came into our lives and settled into his forever home. I came across Kona’s adoption papers recently and was amazed when I saw that it has been six whole years! 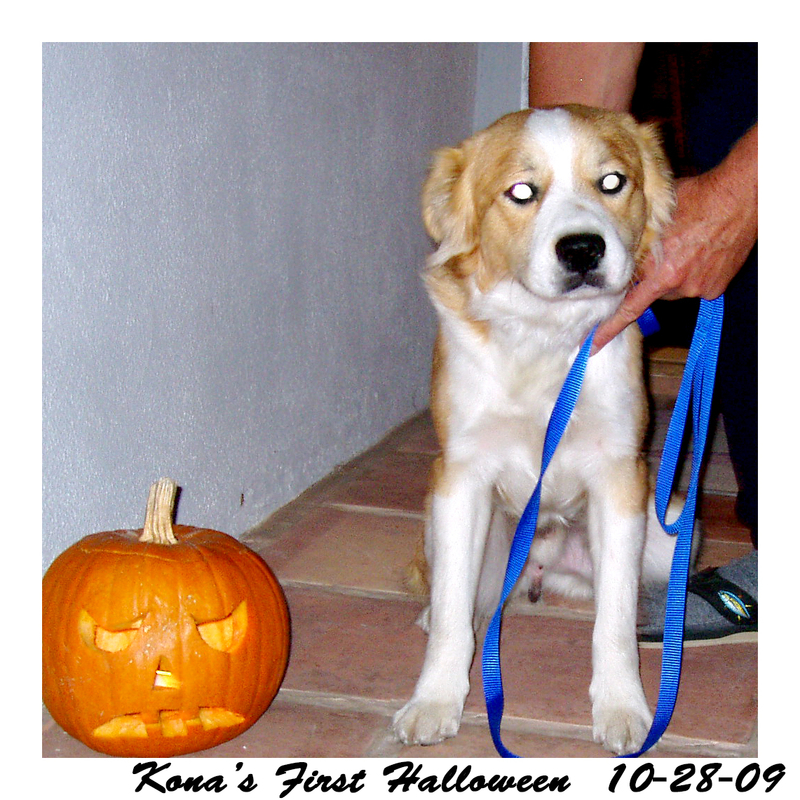 This photo was taken on Halloween, just a few days Kona’s arrival. He was 15 pounds underweight, recovering from severe kennel cough and struggling with some behavior issues. With the advice of my vet, we fattened him up quickly with a diet of chicken, rice and yams, and started dealing with his aggression towards other dogs by following the Dog Whisperer DVD’s. Kona’s come a long way in six years and has turned out to be a wonderful dog and a huge part of our family. We’re so grateful to have him in our nest.